Our range of Gloss Kitchens start from as little as £2,500 fitted. The sleek lines and contemporary styling of a high gloss kitchen helps to create a bold statement in the heart of any home no matter what colour you opt for. The signature smooth style and reflective surface of a gloss kitchen can look great in a variety of colour finishes, from fresh whites, warming purples, on trend blacks and greys to vibrant reds. High gloss doors are easy to care for and extremely durable. Gloss kitchens are the perfect adaption to any fast-paced kitchen and those with little fingers. Gloss kitchens are among the easiest to clean, with delicious sauces on offer and spillages inevitable this is paramount! 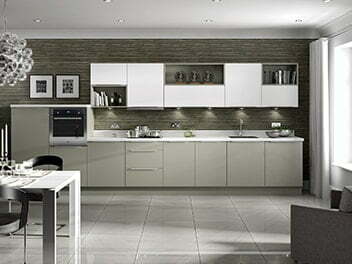 Fitted gloss kitchens are a great option for all room sizes. 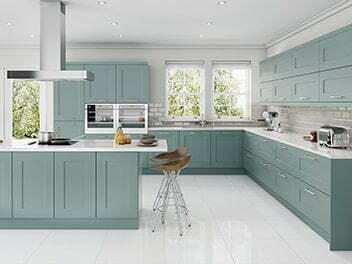 They can transform a dull kitchen on the smaller side into a light and airy room with a spacious and uncluttered feel. For those with a larger room to work with, an ultra-modern, stylish look can be created with enough durability to withstand the demands of modern life. Our fitted gloss kitchens come with the option of handles or as handleless. This choice is more important than you probably expect as it can totally transform the finished look of your gloss kitchen. 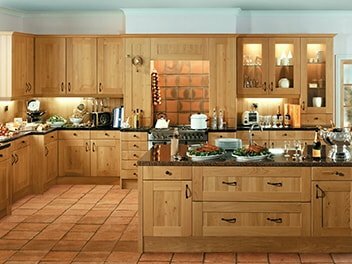 At Direct Kitchens Sheffield, we work with some of the biggest manufacturers in the kitchen industry including Neff, Stove, Bosch, Rangemaster and Belling to be able to offer a one stop shop for your kitchen requirements. We have everything including integrated ovens, induction cooker hobs, hot taps, extractor fans and much more available. Direct Kitchens is a Which? 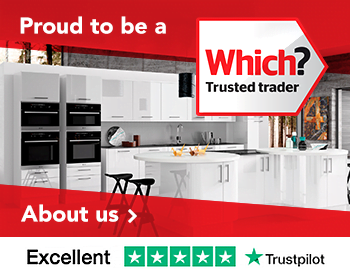 Trusted Trader meaning you can sit back and enjoy choosing your new gloss kitchen knowing you’re in safe hands. As a family run company, our customers are more than just a number to us and we treat every customer as if they are part of our extended family. With more than 25 years’ experience in the designing and installing of gloss kitchens across Yorkshire, we will make your buying process as easy as possible. 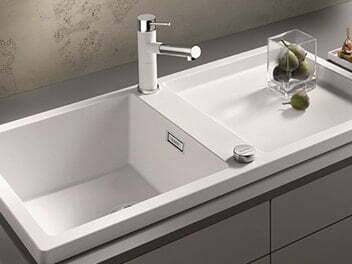 We offer a full project management service; looking after every aspect of your new kitchen including organising removal of your existing kitchen if needed, creating stunning CAD drawings, installing your new fitted kitchen and then our aftercare team will follow up on the project. We also work with reputable contractors if you require further works carrying out on your fitted gloss kitchen including painting and decorating, plumbing, construction and electric works. 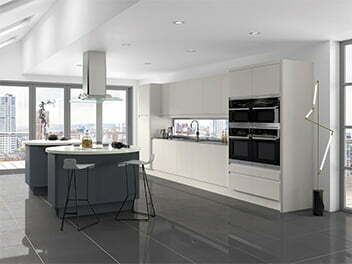 What’s more, every gloss kitchen that we plan, design and install comes with a ten-year guarantee. Our kitchens aftercare team in Sheffield is always on hand to ensure you are 100% happy with your home project. We know customers don’t want to spend hours going through an initial quote, so we ensure that we take up no longer than 30 minutes of your time in the comfort of your own home to discuss your requirements. If you’d like to find out more about our gloss kitchens, please visit our showroom in Sheffield, give us a call on 0114 240 0158, click here for a free quote or have a look at our social media pages showing previous customers kitchen transformations. 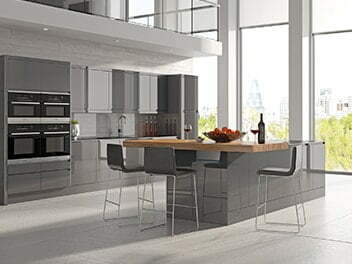 Here at Direct Kitchens we have been providing quality kitchens, bedrooms, gliderobes and home offices to the people of Sheffield and Yorkshire for over twenty five years. It is this level of expertise and experience that sets us apart from the rest.